They've been worn already since you left 4 days ago! And the bow washed up great- just needed a quick press. 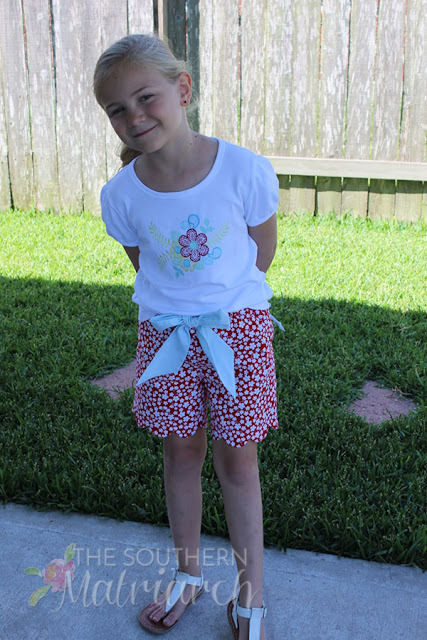 Super cute shorts set and beautiful child! Your post is timely; I purchased the larger size Parker's Pants today and deliberately didn't allow myself to purchase more fabric (but I did look and yearn for more!). 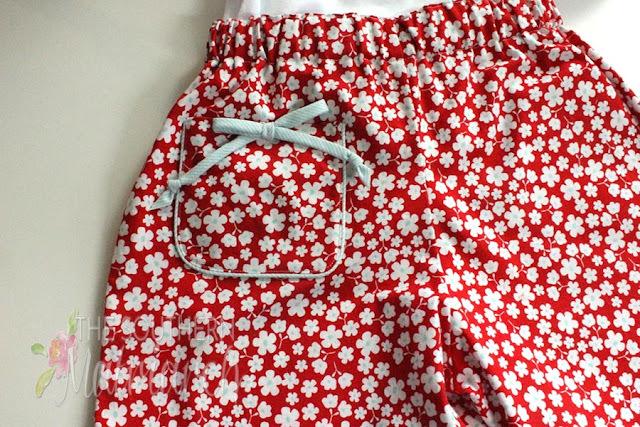 I too am hoping to use up some stash fabric soon and will definitely be trying a pair of scalloped Parker's Pants shorts! The scallops on the shorts are so cute! 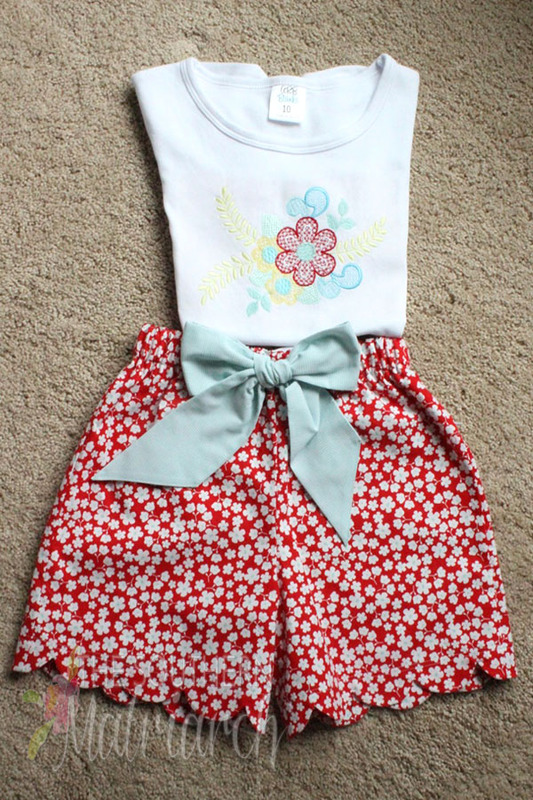 I cut out a bunch of clothes for my 15-month old granddaughter and didn't put a dent in my fabric stash. Sigh. 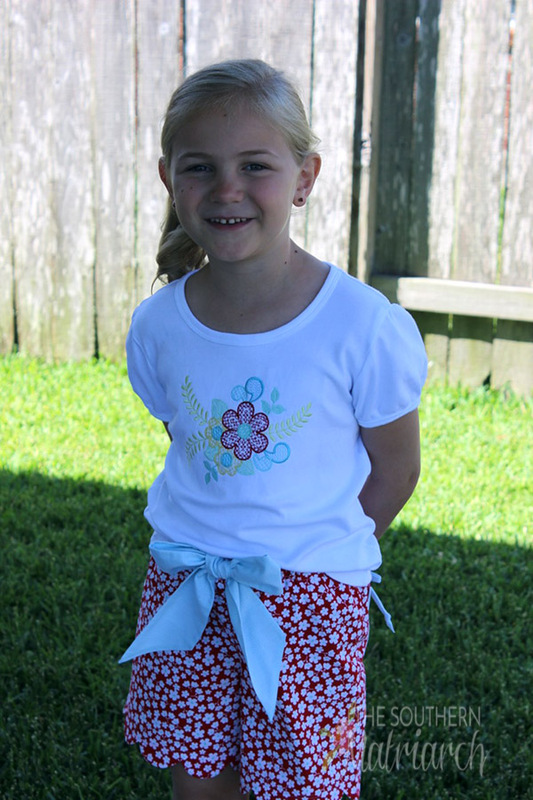 Love the outfit super cute! 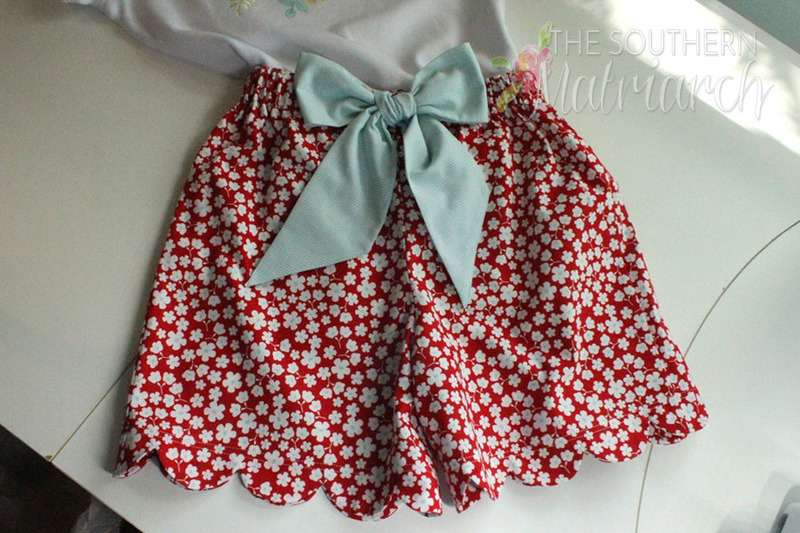 I will try to make them for my daugthers love everything you create!